Twentieth Century Psychic and Medical Clairvoyant Edgar Cayce (1877-1945) has been called the "sleeping prophet," the "father of holistic medicine," and the most documented psychic of the 20th century. For more than 40 years of his adult life, Cayce gave psychic "readings" to thousands of seekers while in an unconscious state, diagnosing illnesses and revealing lives lived in the past and prophecies yet to come. Through Cayce's otherworldly journeys, he learned the true interpretation of the Bible. According to Cayce, the Bible is the symbolic account of the fall and restoration of the human soul to its divine origins. Genesis is the symbolic testimony of humanity's fall from heaven and paradise lost. Revelation is the symbolic testimony of humanity's restoration to heaven and paradise found. As part of the process of becoming self-aware, we come to recognize the continuity of consciousness. In other words, we live multiple lives. Edgar Cayce tells us that the little book that is sweet in the mouth and bitter in the belly is the "Book of Life" or "book of remembrance" that contains the story of our past lives as well as our present incarnation. So the self-analysis process goes on and on - we are constantly being given the opportunity to know ourselves. This is part of the initiation, the purification of mental and emotional patterns that we carry over from one existence to another. In Chapter Eleven, the mighty angel that gave John the book tells him that two witnesses will be given the power to prophesy and testify. They will be killed and after three days will be raised up and ascend into heaven. Cayce tells us that the two witnesses, also symbolized as two trees and two candlesticks, represent our past lives in the earth (reincarnation) and our past lives in other realms (planetary sojourns associated with astrology). The Book of Revelation was written by a man named John (presumed to be John the Apostle) toward the end of his life. John records a vision he experiences, probably while dreaming or meditating. This vision contains a tremendous amount of symbolism; the same kind of symbolism one would see in a dream, a vision of the spirit world. In fact, the Book of Revelation contains the same symbolism found in the symbols in the Prophet Daniel's dream. All Biblical dreams, such as those of Joseph, Gideon, Daniel, Paul, and Peter, are very symbolic and therefore had a hidden spiritual meaning rather than a literal interpretation of the symbols. Such is the case with the Book of Revelation. During several of Cayce's journeys into the spirit realms, he was able to unlock the secrets to the symbolism in the Book of Revelation. He gave a large amount of information specifically for the purpose of discovering the book's hidden meaning. Cayce described the true nature between humanity and God. Cayce revealed that humans actually have three different dimensions of human awareness: the conscious mind (personality), the subconscious mind (soul) and the superconscious mind (spirit). An important goal in everyone's life is to awaken our superconscious mind to attain what Cayce called at-one-ment with God. The superconscious mind is called by many names by many religions in many different cultures. Some of these names are: Buddha consciousness, Christ consciousness, the Collective Mind, the Universal Mind, the Collective Unconsciousness, the Holy Spirit, Brahman, God, the Clear White Light, Allah, Higher Self, the Mind of Christ, etc. Cayce's references to the Christ, the Christ consciousness and the Mind of Christ has little to do with the personality known as Jesus. Cayce revealed that Jesus became the Christ - a full manifestation of the Christ consciousness - the perfect union of the human with the divine. It is God's desire for all of humanity to become Christs (or Buddhas if you live in the East). Such a condition will truly bring the Kingdom of God to the Earth. Cayce revealed that the Book of Revelation is the symbolic story of how humanity in general (and a human in particular) attains this manifestation of the divine. What follows is a very brief summary of the information he received. Literal: John, on the island of Patmos, explains that he was in the Spirit when Christ appears to him standing in the midst of seven candlesticks. Christ then tells John to write down what he sees and hears concerning seven churches. While in meditation, John's conscious mind becomes open to his subconscious mind and his superconscious mind. The seven churches and the seven seals represent the seven spiritual centres [chakras] of the body where the physical, mental and spiritual forces all come together. The superconscious mind within John tells him that anyone who can regain control of these spiritual centres within their bodies can access the superconscious mind and never need to reincarnate again (Rev. 3:12). Literal: John now appears at the throne of God and sees four beasts and twenty-four elders around it. On the throne sits God who has a book with seven seals. John weeps when he learns that no one can open the seals to the book. One of the elders tells John that Christ is able to open the seals. Christ then opens the seals, resulting in many Earth changes. The seventh seal unleashes seven angels who sound seven trumpets which are sounded one by one. John has a mental awakening when he attains the spiritual level of the superconscious mind, within the throne of his own body. The four beasts are his four lower spiritual centres' animalistic desires and the twenty-four elders are the twenty-four cranial nerves from his brain leading to his five senses. The superconscious mind is now in full control of John's body. The body is symbolized as a book with seven seals which "no one has the ability to open on his own" (Rev. 5:3). Only through the development of the superconscious mind within a person can these spiritual centres within the body be opened (i.e. spiritually activated). As each spiritual centre within the body is activated, different parts of the body are purified, and upheavals of the body occur mentally, physically, and spiritually. 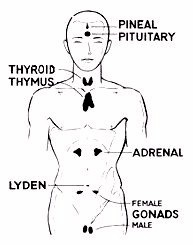 The superconscious mind spiritually activates the seventh spiritual centre (the Pituitary, the master gland of the body). As a result of this, it becomes "quiet in heaven for one half hour" (Rev. 8:1). This is symbolic of the perfect control of the mind for one half hour through meditation. self-delusion, self-condemnation, self, ego, the "false god," the "beast"
Literal: John sees a woman with twelve stars about to bear a child. Next to the woman is a dragon that is ready to devour the child she is giving birth to. After the child is born, the child is taken to the throne of God. Afterward, a war in heaven occurs and the devil and his angels are cast out of heaven to Earth. John also sees a beast rise out of the sea which the world worships. John then sees a lamb on the Earth and angels proclaiming the fall of Babylon. John is shown a picture of the soul of humanity in its development since the days of eternity. The woman symbolizes the soul of humanity crowned with twelve stars, the twelve basic patterns of human personality as described in the zodiac. The child she bears is the conscious mind. As the conscious mind is born, a rival force of the self occurs, which brings about recurring periods of rebellion in humanity. Through divine intervention, the conscious mind is protected while the unconscious mind, from which it sprang, is withdrawn below the conscious level. This is the same story as that symbolized as the fall of Adam and Eve in the Garden of Eden. Rebellion from the physical brings conflict into the soul but the soul can remain above it by remaining concealed from the forces of self will. The "beast rising out of the sea" is the selfish animalistic desires that arise which are capable of ruling humanity. These desires spring from the self-will of the unspiritual intellect of humanity which the world worships as a symbol of material success. The human intellect, lacking spiritual orientation, cuts itself off from all that is divine. 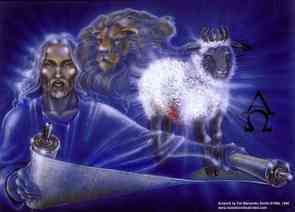 The lamb that John sees is the forces of the superconscious mind in the world going into action. "Babylon," the human desire for earthly riches and success in the gratification of the flesh, begins to be destroyed as humans are shown the consequences of the prostitution of their higher faculties. Literal: John is shown seven angels, each of whom holds a vial containing a plague which they pour upon the Earth one at a time. John then sees a woman sitting on a seven-headed beast with ten horns. The woman wears on her forehead the name Mystery, Babylon the Great, the Mother of Harlots and Abominations of the Earth. John is told the seven heads symbolize the seven mountains on which the woman sits and the ten horns symbolize ten kings. These make war against the lamb and the lamb conquers. John is seeing within the soul of humanity, the collective unconscious, that the souls of individuals are purified and tested on seven levels of consciousness symbolized by the seven plagues being poured out by the seven angels. When all seven levels of consciousness have been purified, then and only then can a person control the physical, mental, and spiritual forces within his body. Physical diseases arise from the misuse of the forces and self-gratification of the flesh, wars against universal truth. This brings about conflict in the world against groups and governments. The end of the seven ordeals comes when humanity's social institutions and concepts collapse, leaving universal truth to be realized. The Prostitute of Babylon symbolizes humanity's desire, lust for riches, and gratification of the flesh. The beast it rides on is man-made ideas stemming from self-gratification. It is explained to John that these forces have taken control of the seven spiritual centers of the human body, thereby becoming possessed and ruled. However, as the highest forces of evolving humanity overcome the forces of self, even the ten basic urges of the body, symbolized by the ten horns, will in time fulfill the divine pattern. As the divine nature in humanity becomes less realized, society is destroyed by its own hand through self-gratification. Literal: John now sees much rejoicing in heaven and the appearance of Christ. An angel casts the devil into a bottomless pit for one thousand years. John then sees a new heaven and a new Earth come into being. What was the final salvation of the bodily, mental, and spiritual forces described within John, now are shown to take place in collective humanity. When humanity recognizes the divinity within them as the controlling force in the world, and turns away from their own selfish pattern of living for self alone, the old pattern disappears and the Christ pattern emerges. John is told that the merging of the evolved self with the divine superconscious, which has taken place in John, must also take place in all humanity (Rev. 19:7). The fulfilled pattern of evolved humanity, the Christ (i.e., super-conscious mind), is now shown in a position of power (the so-called "second coming of Christ"). Now the archetype of humanity's continual rebellions, the self-willed intellect symbolized as the "devil", is confined for a time in the collective unconscious mind. During this period of one thousand years (the 1000 year reign of Christ), only the evolved souls will be permitted to incarnate on the Earth (Rev. 20:4). At the end of this period, the remaining souls begin to incarnate, bringing with them their unsatisfied ambitions and desires. This, of course, brings about the former conditions of imbalance (wars and plagues). These conditions, all man-made, are now themselves eliminated and all mental forms and patterns not formed by divine will are purged (Rev. 20:14). 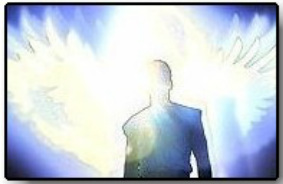 The "new heaven and new Earth" John sees is humanity's perfected state of consciousness and regenerated body. The human mind at this point is now one with the divine in the perfection of control and is free from outside limitations. The human conscious mind merges with the superconscious mind. John states that if anyone adds or takes away from this book, that person will experience the plagues in this book. The book is the body, which is the vehicle for human experience in the world. Through it, the lessons of the soul are learned. There can be no shortcuts or meanderings without dire consequences to the body. The subconscious mind's area of repression, the "id"